I saw this in amongst the myriad of ‘Love Is’ memes doing the rounds at the moment. I’m sharing it with you because it made me smile and it made me think. Maybe we should all be like beards. 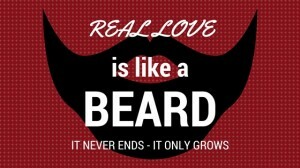 Note – we should not BE beards. That would be weird and unhelpful. But if we decided to be LIKE beards, and we dedicated ourselves to always growing, how awesome would our lives be? I’ve been thinking about this quite a bit this weekend. It’s Valentines Day today, and my thoughts have naturally turned to those I have loved, those who have loved me, and those whose love I have wanted but haven’t had. It was a lovely surprise, as I was going through that mental list, to find that actually, looking back at the way life has worked out, I’m glad that I didn’t get the relationships that I thought at the time I wanted so much. In some cases, it was a false idea, and has since come crumbling away. In other cases it’s because something better came along and swept away all old ideas. The biggest thing – for me – is this. If I had gotten what I wanted, when I wanted it, I don’t think I’d be the person I am today. I doubt I’d have been following my writing dream. I’m not entirely sure I’d have had the time and the opportunity and the space to truly think about what I want and what I don’t want in a relationship, or in life. And I don’t think I’d have been as confident in my own skin as I am (don’t get me wrong, I’m still not there on this one. It’s a work in progress…but there has definitely been progress). It’s a realisation that’s taken me a long time to get to. And I will probably need to keep reminding myself of it, especially on days like this. Days when I look around and I see lots of coupled-upness, and could easily fall into the trap of feeling as though I might be missing out somehow, or that I’m not enough because I don’t have any coupled-upness of my own. Because actually I’m not missing out. I’m happy where I am. And I feel hopeful that being happy with me, or at least happier with me than I have been in a very long time, also means I might be able to allow someone else to be happy with me when the time is right. I hope that wherever you are, whatever your situation, whether you’re coupled-up or singled-up, that you spend some time on you, on finding ways to be happy in your own skin, to really love who you are. Because it’s only then, when we love who we are, that our proverbial beards can grow. 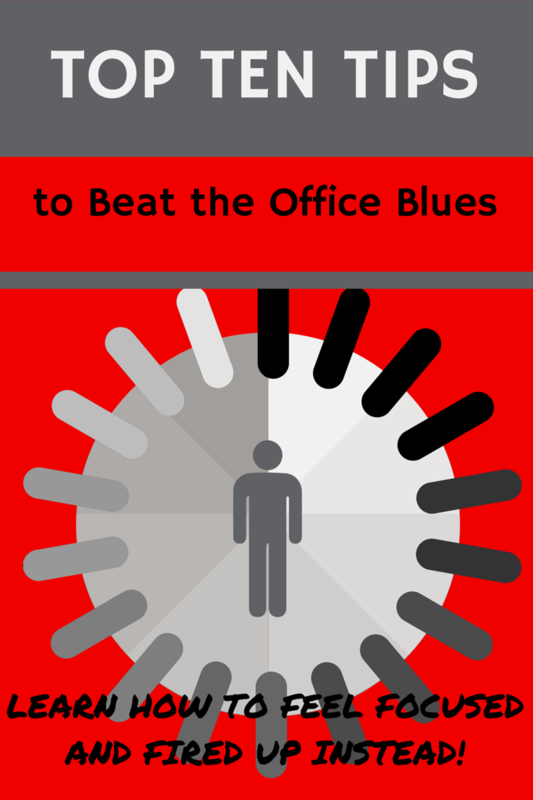 Do you a free copy of my ‘Top Ten Tips to Beat the Office Blues’ report right now? And my lovely little newsletter on a Sunday evening? Then just sign up here!